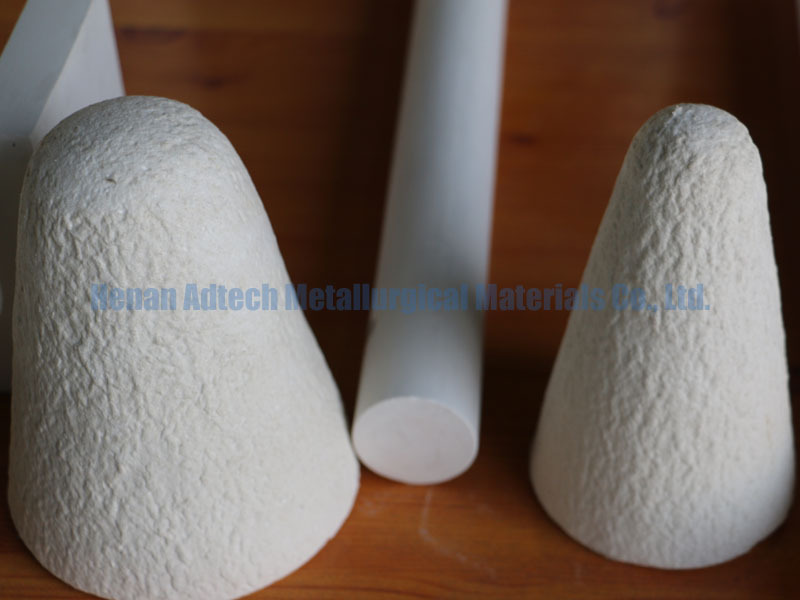 Refractory Fiber Cone -AdTech Metallurgical Materials Co.,Ltd. Refractory Fiber Cone are the key parts of the continuous aluminum trip casting machine which directly effect the quality of aluminum sheets. The Refractory Fiber Cone can be divided into many types according to different casting machines. 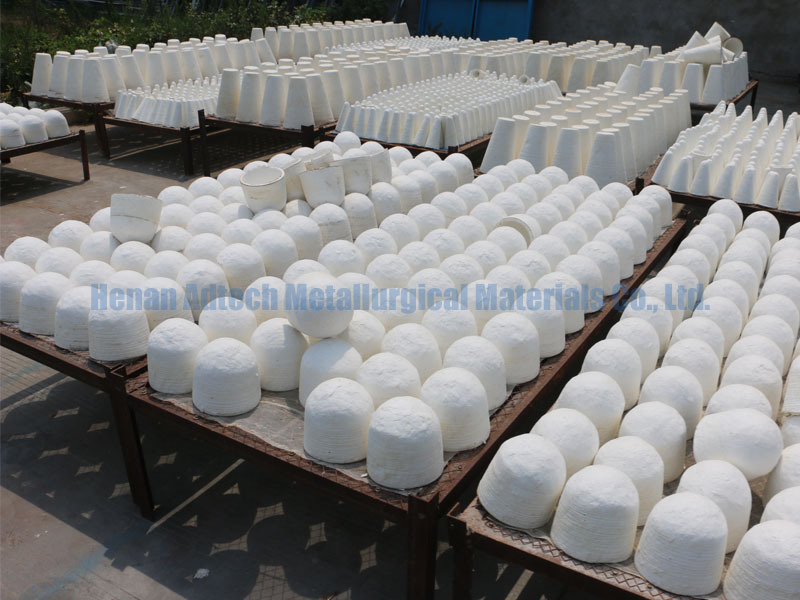 Refractory Fiber Cone produced by ADTECH is compounded by ceramic fiber and some other refractory materials. The opening surface and the coating of the working surface are smooth and it can resistant to the corrosion of the liquid aluminum, guarantee the purity of the aluminum sheet. Castertips with excellent non-wetting properties, low thermal conductivity, high temperature stabilities, uniform density, smooth surfaces and close tolerance, is superior products for continuous aluminium strip casting. Taphole/tap out cone for non-ferrous metal melting furnaces. To be used cover and protect taphole plugs used in furnaces for melting aluminum, magnesium and zinc alloys. The cones are disposable and are recommended for one-time use. Textured exterior surface minizes tearing during insertion. Resilient composition insures a tight fit between the taphole plug and tap block. Does not burn, smoke or degrade. It is used for the melting furnace outlet ,making the aluminium and its alloy casting process more convenient. This product is used for furnace outlet , manufactured from advanced alumina silica fiber . Making the aluminum and aluminum alloy casting process more convenient ,more reliable and much safer. We offer products according to the customers requirements .